Why was Scotch whisky ‘better’ in the 1960s? It’s often lamented among malt enthusiasts that ‘whisky isn’t made like it was in the 1960s’, but what do they mean? What celestial characteristics did pre-’60s Scotch have that’s missing now, and what changed? It’s time to turn to the Whisky Professor for some answers. I keep reading about distilleries saying they would like to recreate the style of whisky made in the 1960s, which apparently isn’t being made any more. They say it was more fruity and thick. Some even claim it was better. What was that style, why isn’t it being made today, and if you wanted to, how would you make it? This is an almost impossible question to answer. Saying whether whisky was ‘better’ is a matter of personal judgement and therefore hard to quantify. What can be said for certain is that the 1960s was an inflexion point in the evolution of whisky production. While the decade saw significant changes, you have to be careful in deducing that all of them caused a change in flavour across the board – hence the number of qualifications which follow – although some certainly did. It is best to start by putting this into an historical context. The ’60s were a boom time for Scotch, predominantly thanks to a thirsty US market, as well as a rise in demand for bulk from Japan. New distilleries were built (Tormore, GlenAllachie, Tomintoul and Tamnavulin, for example); some reopened after long silences (such as Port Ellen and BenRiach), while others were expanded. New technology was also being introduced, while the industry was also looking at making savings in terms of energy costs, raw materials and labour. Your question is whether all of this impacted on whisky’s flavour and, though I may be wrong, seems to contain a subtext as to whether the changes began a shift towards homogeneity. What is certainly true is that the American market demanded a more delicate style of blend. Whether this meant an overall lightening of character is harder to ascertain. It could be argued that the increase in the number of operational distilleries actually widened the diversity of flavours produced, while the upside of the new techniques helped to give greater consistency. Let’s go through each part of the process to see what happened and what impact it could have had on flavour. It is always hard to pinpoint exactly what effect one change has as flavour creation is part of a long, interrelated process. That said, some changes had minimal effect, while others as we will see had more of an impact. The increase in demand was a major driver in an active search for higher-yielding barley varieties. It would be incorrect to assume that this was the first time that this had happened. Between 1918 and 1939, hybrids such as Spratt-Archer and Plumage-Archer were created, while Proctor began to dominate in the 1950s, followed by Zephyr and Maris Otter. By the end of the 1960s, a high-yielding variety was introduced which would hold sway until the 1980s. This was Golden Promise. Today it is seen as being less efficient, though the distillers who have started to re-examine it agree that it gives an oilier mouthfeel than the current standard varieties. Cotswolds has also run trials with Plumage-Archer which shows a different character at new make stage. It would be wrong, however, to deduce from this that distillers in the 1960s (or earlier) chose varieties specifically for flavour. If there was a flavour impact, then it was a side effect. While the use of peat diminished throughout the 20th century, anecdotal evidence suggests that it was still being more widely used (even at low levels) in areas such as the Highlands and Speyside in the 1960s than is the case today. The influence may have been small, but in some cases it would be noticeable if you compare whiskies made then and now. Once again, the need for higher volumes and greater efficiencies lay behind the decision by distillers to close their own floor maltings and either install larger Saladin or ‘pneumatic’ maltings on-site, or build their own purpose-built maltings (Burghead was built in 1967, Glen Ord the year after), or outsource to commercial maltsters. Did this have a flavour impact? While some distilleries which have retained floor maltings – Laphroaig would be a good example – will show evidence that different flavour compounds are created in their own kilns, it is theoretically possible that in some cases the switch from one to the other may have had an impact on medium- or highly-peated malt. Equally, distillers would counter that they would not have switched production of malt if there had been a dramatic (and detrimental) effect on overall distillery character. It is therefore hard to say if this has a significant impact. The 1960s also saw a wider utilisation of brewing technology, with the adoption of an adapted Lautering system consisting of Lauter rakes being inserted into existing mash tuns. I turned to one of my mentors, Harry Riffkin of renowned scientific and analytic consultancy Tatlock & Thomson, to explain why this had a significant effect on spirit character. ‘Essentially they kept the same deep bed infusion system as before,’ he told me, ‘but the rake system allowed the distiller to do a finer grind than before and also run a quicker mash cycle. ‘This forced particulate matter through the plates and as a consequence the wort was cloudy. In time, it was noticed that ester levels in the spirit had dropped significantly. Trials took place with different yeasts to try and fix the issue, but it wasn’t until the 1980s that John Peterson (now production director at Loch Lomond) and I worked out that the issue was related to cloudy wort. No-one believed us! There could have been an impact on flavour through the move away from brewers’ to distillers’ yeast. The former’s use began to wane due to a lack of availability (consolidation in the beer industry, the rise of lager), its inefficiency – ‘by the ’60s most brewers’ yeast was knackered’, was Riffkin’s take – and risk of spoilage. The newer distillers’ yeast strains were simpler to handle and more stable. Fermentation times tended to be longer, resulting in fruitier characters being produced – until the advent of cloudier wort from the ‘Lauter’ tuns when a nutty/spicy style became more prevalent. While still shape and cut points would have remained the same, from the late ’50s on there was a shift away from direct fire to steam. Direct fire, especially in wash distillation, has been shown to add weight to the spirit. At the same time, there was a continuing move away from worm tubs – which again add weight (and often sulphur) notes to the new make – to shell-and-tube condensers, which help to clean up the spirit more effectively. There are, however, ways to counteract this. The 1950s and 1960s saw a wholesale shift towards ex-Bourbon white oak casks – most commonly remade into hogsheads – and a decline in the use of ex-Sherry casks. 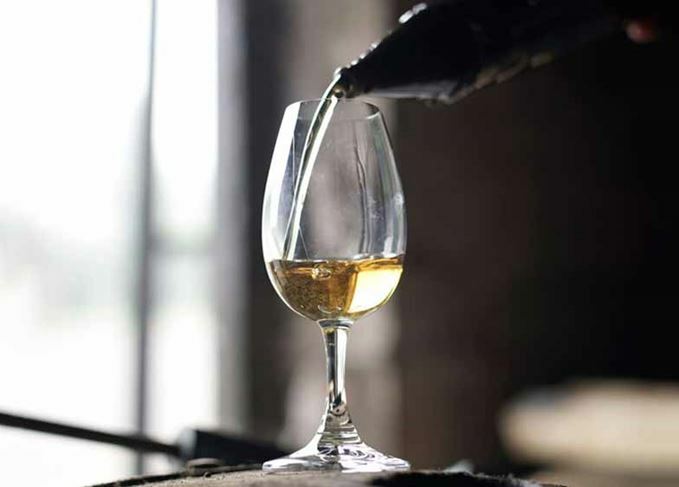 There are a number of factors for this – the greater availability (and lower cost) of the American casks, and a move by the Sherry industry away from bulk shipments in cask. This would have resulted in a steady change in the flavour profile of mature whisky. That said, refill casks were still the most commonly used type, so you shouldn’t think that the style suddenly shifted from dried fruit and clove from ex-Sherry casks to heavy vanilla overnight. Those ‘Sherry’ casks were also different to what we see today. While rejuvenation as we now understand the term (decharring and recharring) was yet to be practised, when ex-Sherry casks were being refilled they would have been treated with paxarette. This would have added its own character – one which disappeared in 1995 when the use of paxarette was banned. It would be wrong to say that whisky was either better in the 1960s, or that it changed overnight. It is interesting, however, to observe how today’s distillers (of all sizes) are looking at many of the elements within this older template and exploring areas such as barley variety, condensing and firing while allying it with a more modern understanding of wort clarity (which, as Riffkin commented, in turn permits the use of different yeasts – and permits clearer differences to be observed between barley varieties), and temperature-controlled fermentation. Learning from the past, not simply replicating it. Sorry for the long reply and thank you for such a fascinating question. How can rare whisky be more inclusive? As extraordinary whiskies become the preserve of a privileged few, how about spreading the love? More than 100,000 rare bottles were sold at auction in the UK last year, worth over £40m. Is yeast whisky’s new frontier of flavour? As one of whisky’s three ingredients, yeast offers huge possibilities in flavour creation. Whisky produced in the ‘Golden Age’ wasn’t always better, says Dave Broom, just different. The Single Malt Fund will make investing in whisky ‘more inclusive and accessible’.